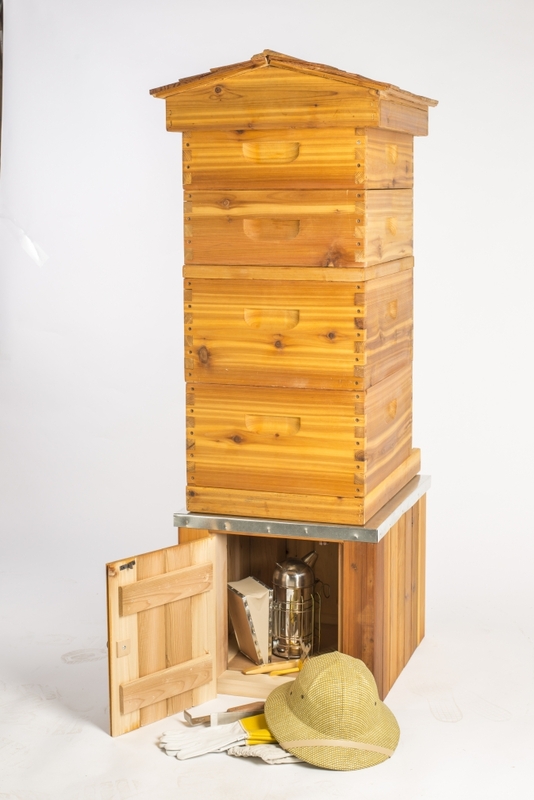 This truly unique storage hive stand is built with Canadian western red cedar. 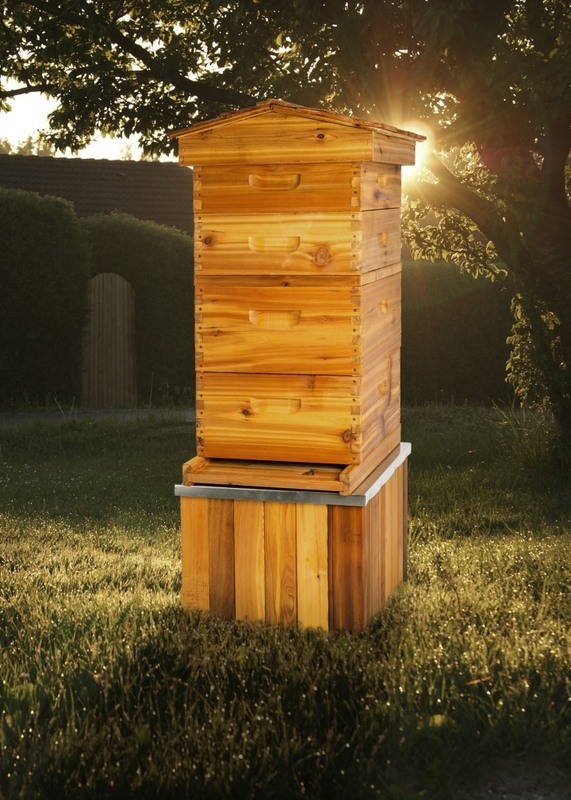 It has strong 4×4 corner framing to support your hive and honey boxes. 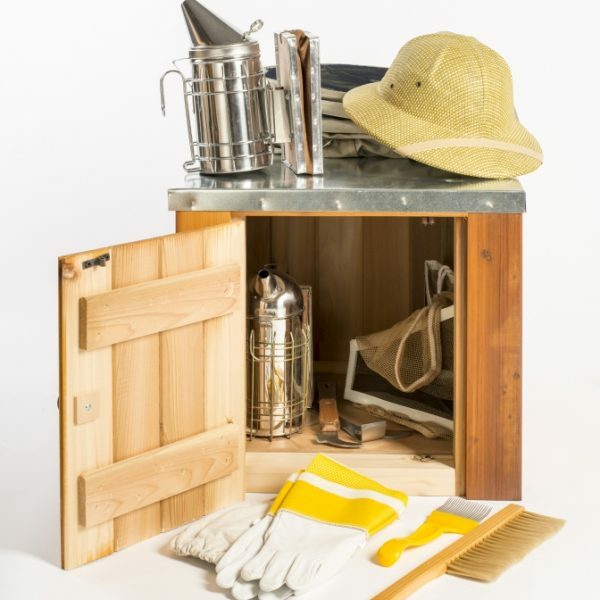 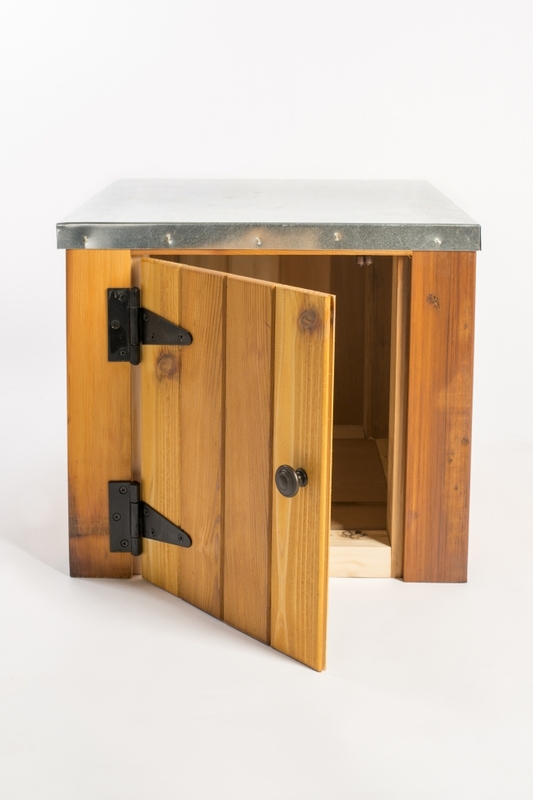 Ships fully assembled and ready to use, it has a galvanized metal cover and latching door. 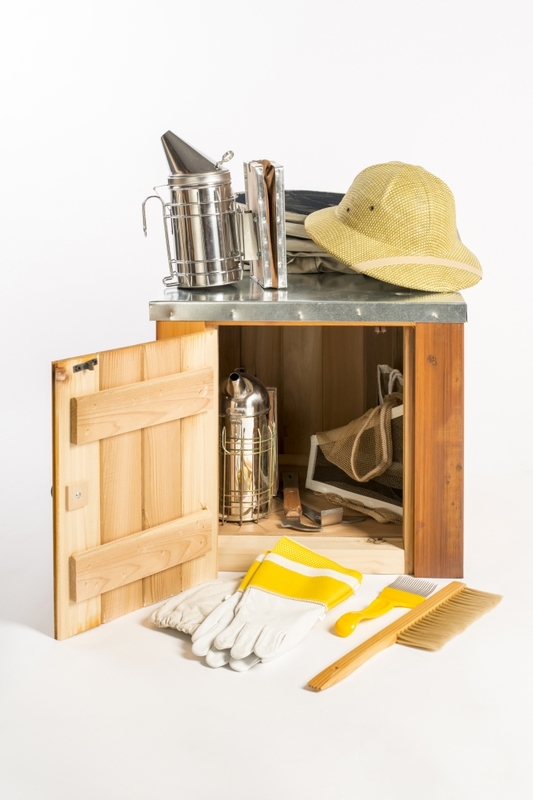 Now you have a spot to hive those hive tools, smoker fuel or whatever else needs to be tucked away!